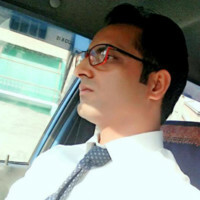 Zahoor Bhat, content manager and social media expert at PROS - Internet Marketing and Technology Company in San Diego, is highly experienced in managing websites and is well-versed in SEO techniques. He has worked with major high-traffic websites. His focus is always to optimize products & services based on goals and KPI’s. He has over 10 years of experience in managing third-party relationships or affiliate marketing with an emphasis on growing the business. He is well-versed in all content management systems (CMS) like WordPress and has over 7 years of experience in content creation, proofreading and finally making it live. Being a social media expert, he is able to make relations with social media influencers and make sure to generate leads and grow business via different social media platforms.